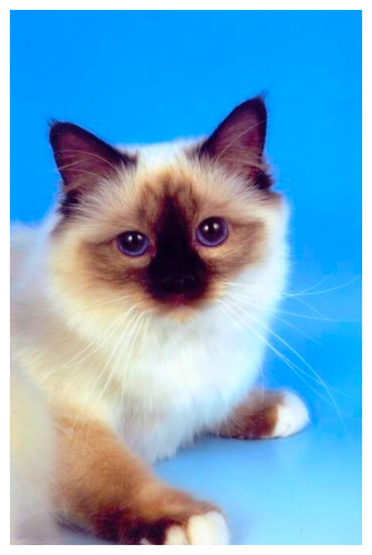 Champion NAMRIB Cuckoo in the Nest, known as Cookie is a chocolate-point girl born in England (West Midlands) in Heather Horton’s cattery Namrib (one of the most experienced and reputable in England and one of the creator of the chocolate point color in association with the famous cattery Shwechinthe). 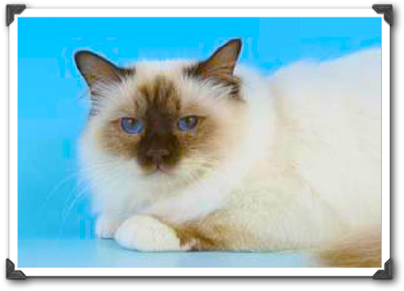 Cookie’s mother is Sweetie (Namrib Quality Street, chocolate-point 13c3 - daughter of beautiful Grand Champion Namrib Ghost). 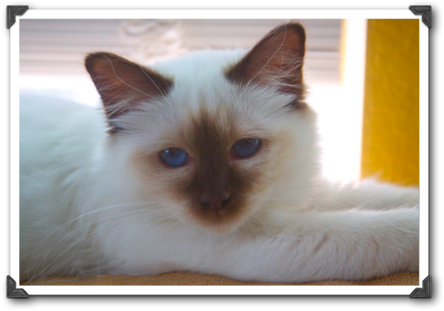 Her father is Grand Champion Ranechi Domenico (chocolate point). 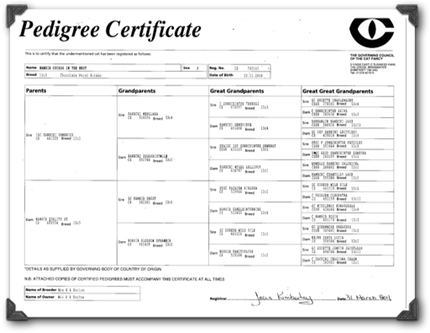 Cookie was born on November 21, 2010, one week earlier than normal. 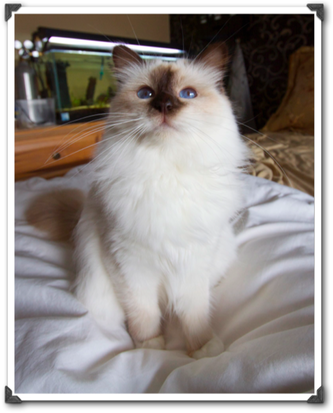 Her mother had four kittens but three died and she was rescued by Heather. 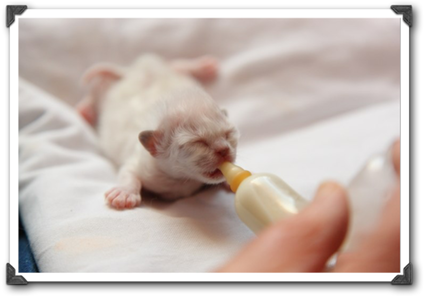 She had to be tubed feed for several days as her mother, Sweetie, lost her milk. Then, she was reared by Namrib Trinity. 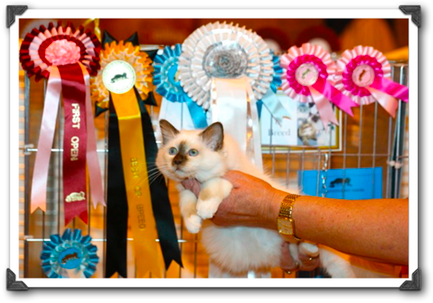 Namrib Cuckoo in the Nest went to her first cat show in England, in Kings Heath, Birmingham, on March 19, 2011, where she got 2 excellent 1st and 3 excellent 2nd best kitten awards. 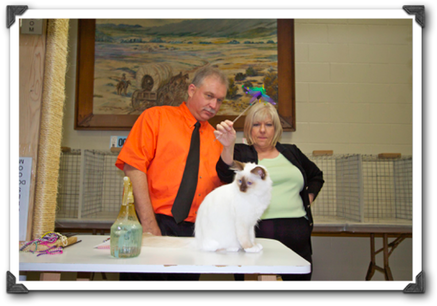 She also received the public award (People Choice) of the best cat in the show (on 150 cats) based on her incredible lovable personality. Cookie arrived from London, UK to Los Angeles on May 10 at 2:50 PM. Thank you Heather for this cutie! 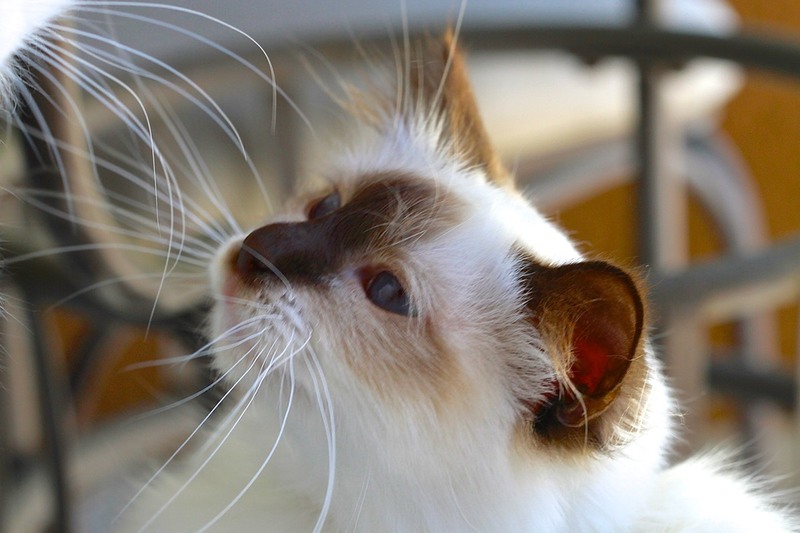 Cookie was in a TICA show in Bristol, England on April 10 and got some incredible results. Each judge gave her a final! Way to go! 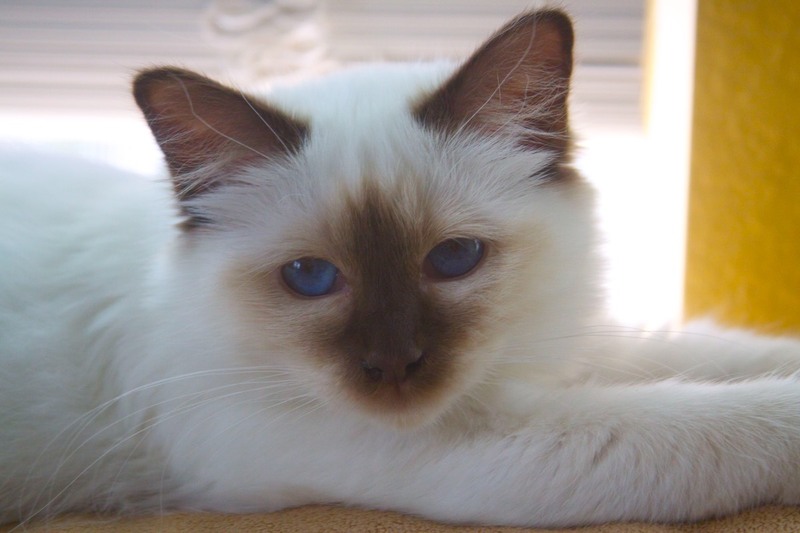 Morphology: Cookie has beautiful blue eyes, a nice warm chocolate point milk color, a soft silky middle coat (as all Birman should have - it’s being lost in many lines that used too much Persan to create the new colors - a roman nose, a strong chin, a long tail. 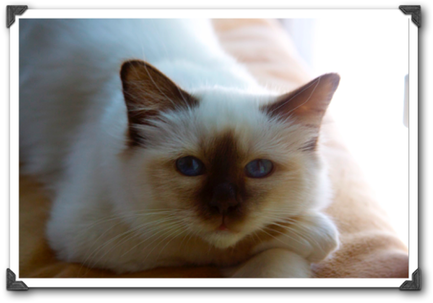 She is more the elongated style than the compact one (Fly is the compact style) and reminds more of the siamese size than the Persan. 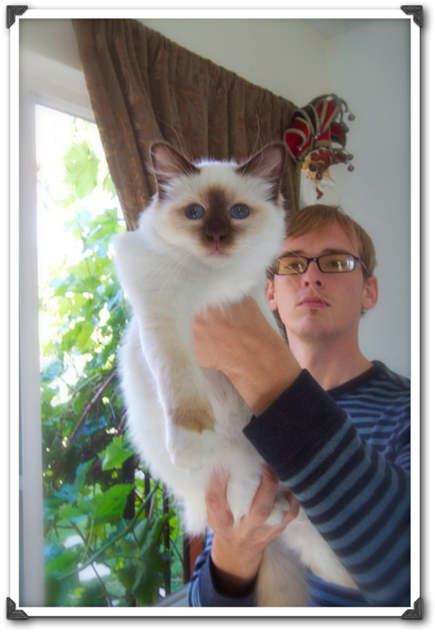 Cookie is the 2nd Best Birman Kitten for the season 2010-2011 for the Southern region at TICA. She did this in only two shows. 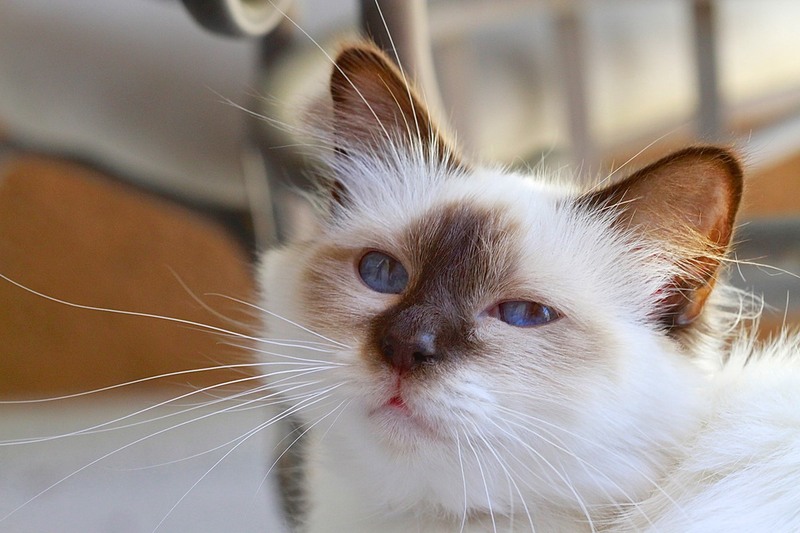 AFTER TWO YEARS OF MULTIPLE ATTEMPTS, WE WERE UNABLE TO PRODUCE ANY KITTENS WITH OUR SWEET COOKIE AND HAVE TO CONCLUDE THAT SHE IS UNFORTUNATELY STERILE … SHE WAS NEUTERED IN SEPTEMBER 2013 AND IS DOING GREAT NOW. 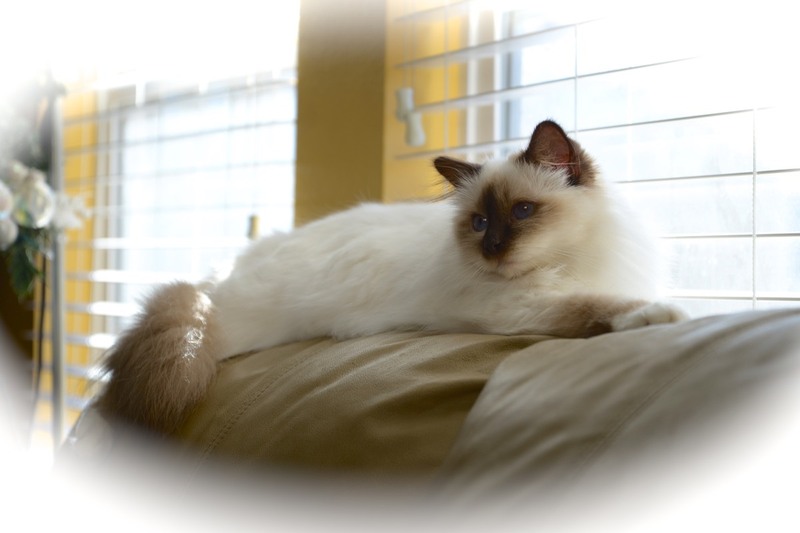 Cookie is staying with Deena in Anaheim area, her new home.